Product information "ARRI Studio Matte Boxes SMB-2 Basic Set 19mm"
ARRI studio matte boxes have aquired a reputation for longevity and dependability on set over decades of use. The new designs retain the ergonomics and lens coverage of previous models, adding exclusive dry lubricants for simplified maintenance. The new studio matte boxes also feature a robust tilting module that helps eliminate reflections, as well as a stackable filter stage system. The Studio Matte Box SMB-2 is optimized for 4" x 5.65" filters positioned either vertically or horizontally. It is well suited to most prime lenses and smaller zooms. K2.0002257 SMB-2 Basic, Studio matte box 4 inch x 5.65 inch with 4:3 ratio sunshade, integrated extension module (without tilt function) and back plate (R2 ring compatible). 15 mm / 19 mm matte box arm and filter stages not included. K2.0002143 SMB-2 1-Filter Stage incl. 1 Filter Frame, Stackable filter stage for one filter frame (rotatable), equipped with filter / tray catcher. K2.0002144 SMB-2 2-Filter Stage incl. 2 Filter Frames, Stackable filter stage for two filter frames (rotatable as pair) with geared frame drive and two integrated, independent filter / tray catchers. 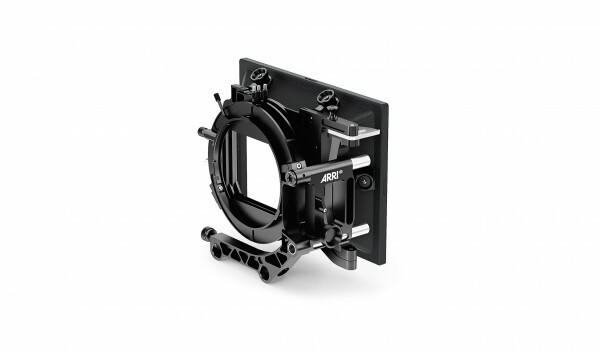 K2.0001638 SMB-2 19mm Studio Arm, Matte box studio arm compatible with 19 mm studio support rod systems. Related links to "ARRI Studio Matte Boxes SMB-2 Basic Set 19mm"
Customer evaluation for "ARRI Studio Matte Boxes SMB-2 Basic Set 19mm"